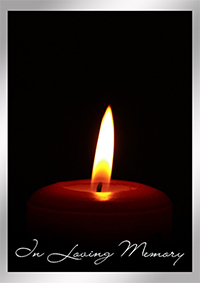 Muehlenkamp - Erschell Funeral Home (Fort Thomas - Muehlenkamp) 427 S. Ft. Thomas Avenue Ft. Thomas, KY April 19, 9:45 a.m.
James W. Corns, 82, of Fort Thomas, passed away on April 13, 2019 at UC Medical Center. James is survived by his Wife of 48 years, Ruth (nee Crawford) Corns of Fort Thomas, KY, Daughters, Angela Corns of Ft. Thomas and Candi Erpenbeck of Ft. Thomas, 3 Granddaughters, 2 Great Granddaughters and Sister, Lynda Myers of Monroe, MI. He was a Military Policeman in the U.S. Army for 20 years where he severed in the Philippines, Japan, Korea, Germany and two tours of Vietnam. Visitation will be held 8:30 am to 9:30 am, Friday, April 19 at Muehlenkamp-Erschell Funeral Home, Fort Thomas, followed by services at 9:45 am with Michael Sweeney, officiating. Burial will take place in the Kentucky Veterans Cemetery North in Williamstown, Kentucky. Dobbling, Muehlenkamp-Erschell Funeral Home serving the family.